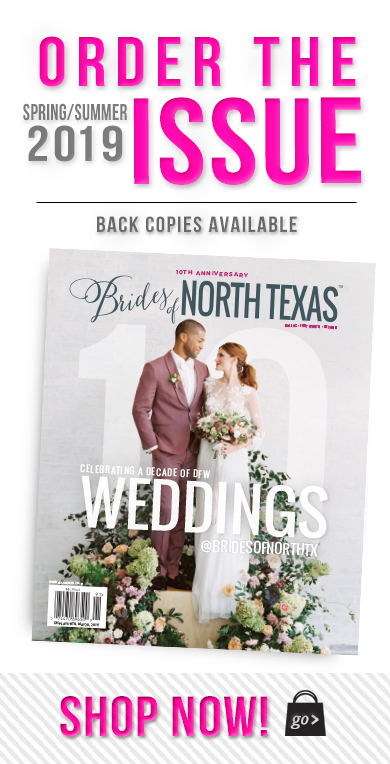 The Fall/Winter 2011 issue of Brides of North Texas magazine has officially hit newsstands – hooray!!!! We’re so very excited! Be sure to go grab your copy at any Texas bookstore like Barnes & Noble, Borders, Hastings, Books-A-Million, etc., or nearest Tom Thumb, Whole Foods, Kroger, Market Street, Target, among other retailers. Today, we’re so excited to share some gorgeous details from just one of the beautiful tabletop spreads you’ll find in the new issue! 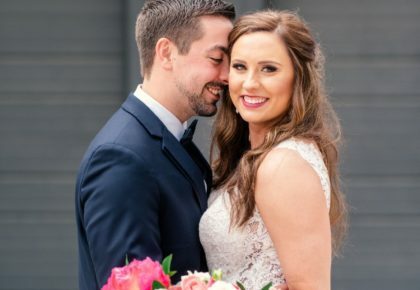 This preppy-chic, golf-inspired “Peaches on Par” design from DFW wedding planner, Wendy Kidd of Each and Every Detail, is full of so much sweetness! From the peachy-inspired color palette to the mini-peach pies from Edison’s, there are so many beautiful details worked into the design that we love! One of our fave design elements is the argyle invite with monogram motif, custom designed by Texas wedding invitation designer, Chelsea Carpenter with Southern Fried Paper. Chelsea also made the custom labels for the Southern-style sweet tea – of course, with a hint of peach flavor – and all of the flag pin table numbers and golf ball seating cards held by tiny golf tees and adorable favor tags! So quaint, charming and inviting! 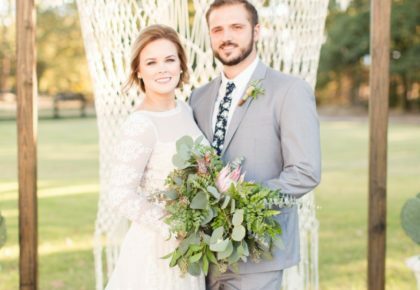 And, of course, what’s not to love about these amazing florals, concepted and designed by Amanda Ferguson with Nest, Floral Studio based in Lewisville, Texas. The breathtaking private golf club at TPC Craig Ranch in McKinney, Texas was the perfect backdrop! We’ll share more of the full tabletop design tomorrow but for now, enjoy all of the beautiful details and kudos to the incredibly-talented team who made it all come together, including Jackson’s Home & Garden (all china), BBJ Linen (linens) and Celina Gomez Photography for capturing every sweet detail! 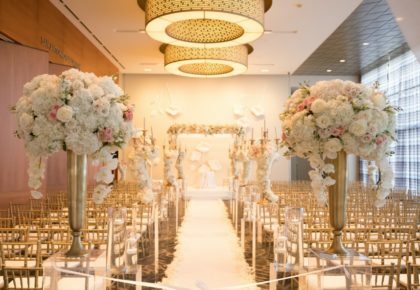 For more information on Texas wedding planner and event designer, Wendy Kidd of Each and Every Detail, the mastermind behind the design, click here. Cheers!